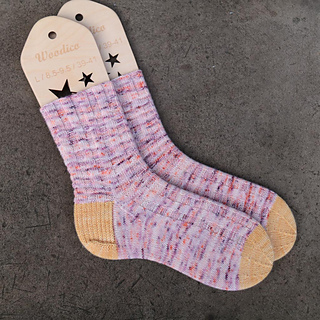 The Rhapsody Socks were inspired by a wonderfully musical trip to the cinema to see ‘Bohemian Rhapsody’. I wanted a design that had a strong rhythm, and that reminded me of the fabulous music that ‘Queen’ created. 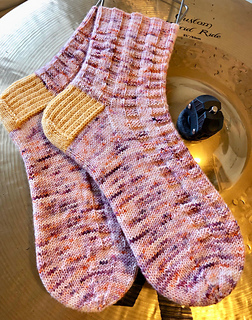 The wide ribbing reflects the four band members, and the four different instruments that they played. 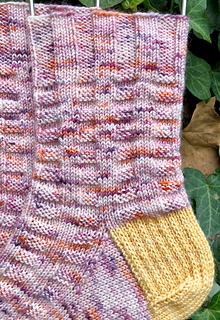 The stitch pattern also makes me think of a piano keyboard, especially when knitted in a self-striping yarn. 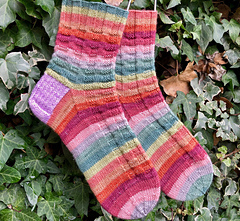 These socks are quick and fun and are suitable for all levels of knitter. 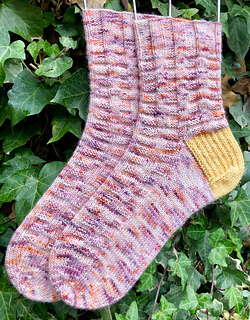 The pattern works well with lots of different types of yarn, and is perfectly unisex.